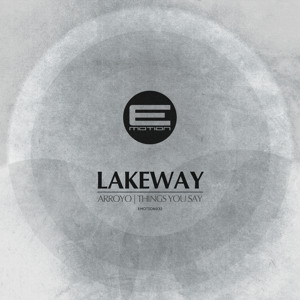 Lakeway returns to E-Motion with more punchy, experimental 170BPM beats following the success of his excellent Digital Serotonin single for the label earlier this year. Arroyo kicks things off with a dark, futuristic vibe and a precise, heavy hitting beat; the kicks and snares really pop, and the unusual rhythm drives the track nicely. Things You Say meanwhile channels influences from hip-hop and LA bass on the intro before dropping into a minimal drum workout with rapid hats and tons of syncopation. Fans of Stray’s recent hip-hop and footwork infused beats will definitely enjoy this one. Check out the clips below and grab this one from your favourite digital store now!